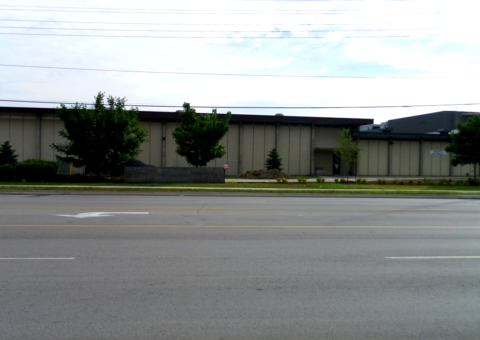 Region of Peel feedermain take the name of the pumping station or reservoir they supply, and the Hanlan Feedermain supplies the Hanlan Pumping Station at Tomken Road and Britannia Road. 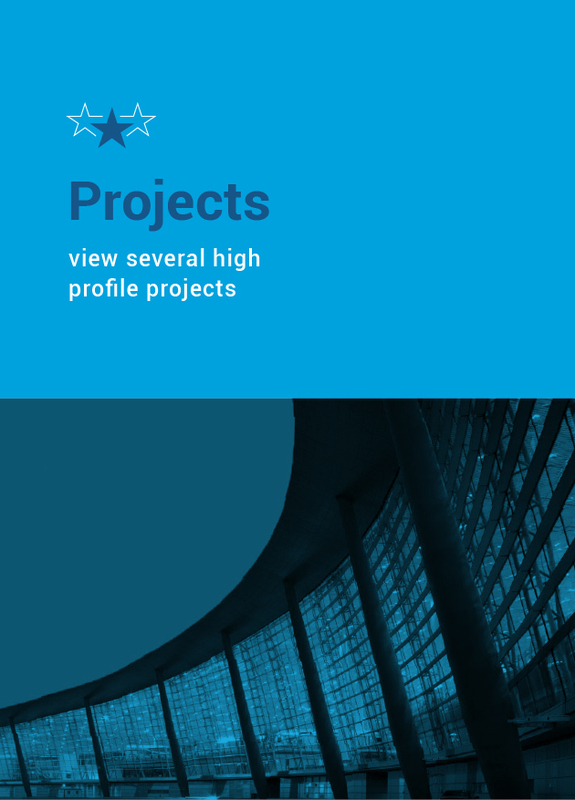 The engineering and construction challenges are complicated and many for the designers, builders and owners of the $so-million Peel Region Hanlan transfer pumping station built in 2009. Not only did the contractor have to work around and under live watermains on the very congested site, it had to build a special reinforcement wall as the 24-metre-high 1,824-square-metre station abuts a 45-million-litre reservoir. There was nowhere else the station could be built as the site also houses an existing station and a second 25- million-litre reservoir. All infrastructure components were installed using underground tunneling equipment. 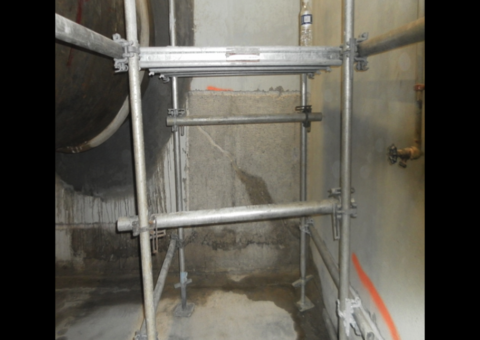 Kelso Coating was involved in the project when leaks began to occur at the pumping station several years later. 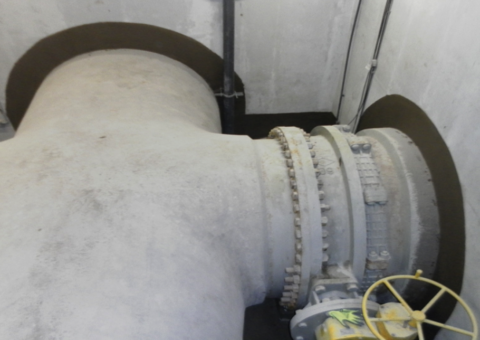 The region was looking for a system that is capable of resisting hydrostatic pressure. The CN 2000 system was approved by the region and ideally suited for such an application. 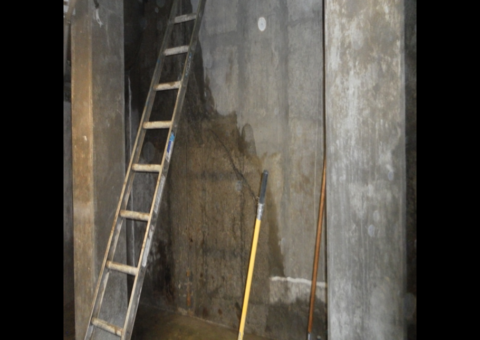 The CN 2000 waterproofing system was applied to the negative side of many leaking cracks, pipe penetrations, and foundation walls to prevent future water infiltration. The self-healing capabilities of CN 2000 will save the Region from future repairs and maintenance work. 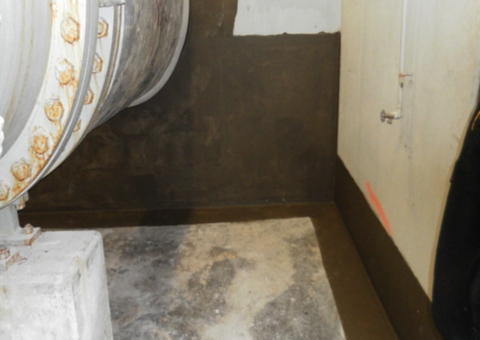 After terminating the active leaks with CN 2000A, our certified application team applied two coats of CN2000B and kept the coating hydrated with our CN2000C/D, which is our polymer modified cementitious waterproof coating. 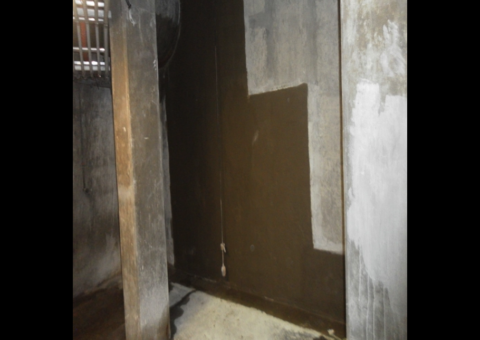 Region was looking for an alternative to injection method for negative side waterproofing. 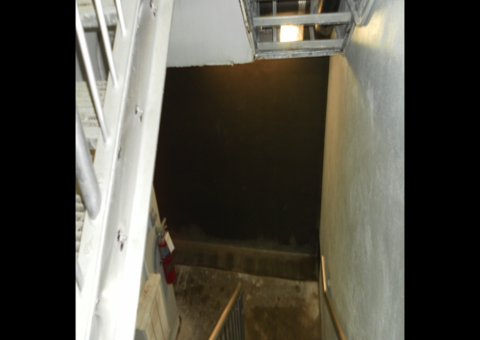 Kelso introduced the CN2000 waterproofing system and was given an opportunity to demonstrate the qualities of our patented CN2000system. 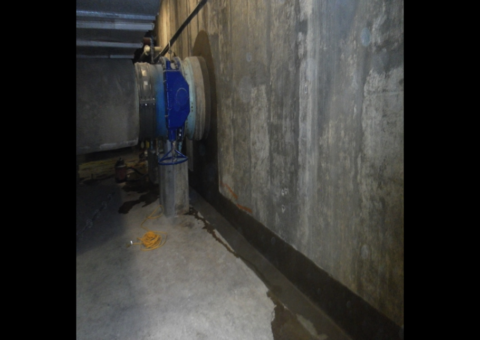 After initial test project, one month later, Kelso was informed that the Region was going to move forward and apply the CN2000 waterproofing system in various locations or their pumping station, where they are experiencing water infiltration issues. All areas were identified and marked out of where the CN2000 system was to be applied. The trained and certified crew, chased all cracks and cold joints and at the same time scarified the area. All areas that were prepared for the application of the CN2000 system was washed and saturated with water. 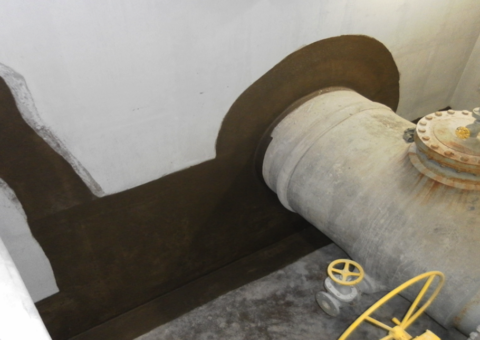 A coating of CN2000B material was initially applied and all active leaks were terminated using the CN2000A sytem. 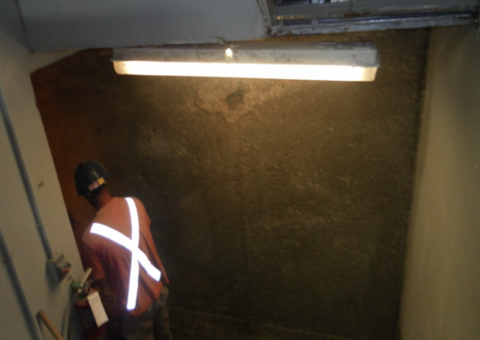 A final coat of CN2000B crystalline coating was troweled on, followed by one coat of our polymer modified cementitious coating to allow the CN2000B coating to remain hydrated.